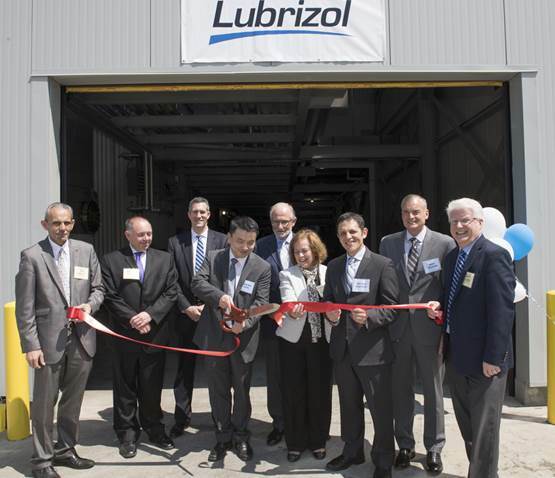 CLEVELAND, May 25, 2018 - The Lubrizol Corporation announces it held a ribbon-cutting ceremony on May 24, 2018, celebrating the successful start-up of its latest TPU capacity expansion in Avon Lake, Ohio. The expansion is part of Lubrizol's strategic global capacity expansion program supporting the company's Engineered Polymers business and well-known product lines including Estane® thermoplastic polyurethane (TPU) and others. 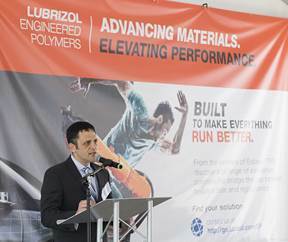 Jian-Wei Dong, general manager of Lubrizol Engineered Polymers, remarks, "Lubrizol has been recognized as a market leader since its invention of TPU for commercial use in 1959. Our staged investments, from acquisitions to continued expansion of this important manufacturing site, demonstrate our long-term commitment to innovation, the markets we serve and supporting customer growth. The added capabilities ensure we deliver world class quality and with more sustainable manufacturing practices." Lubrizol has enjoyed excellent community relations with the City of Avon Lake, Lorain County, and the State of Ohio for many years. The ceremony was attended by local community dignitaries and state officials. In attendance were Avon Lake Mayor, Greg Zilka; Avon Lake Economic Development Director, Ted Esborn; Lorain County Commissioner (president), Ted Kalo; Lorain County Commissioner (vice president), Matt Lundy; Ohio State Senator, Gayle Manning; representatives from JobsOhio; and others, including employees, key contractors and the media. 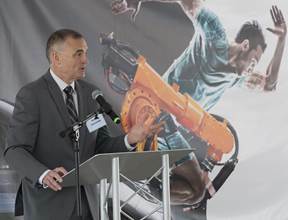 Nathan Deutsch, plant manager for the Avon Lake facility, welcomes attendees to the ribbon cutting ceremony and recognizes all who contributed to the successful expansion and start-up. 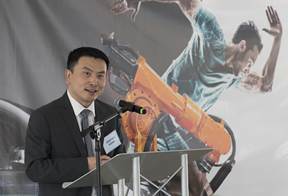 Jian-Wei Dong, general manager of Lubrizol Engineered Polymers, speaks about the importance of the manufacturing site, which demonstrates a long-term commitment to innovation, world class quality, sustainable manufacturing practices and customer growth. Mike Vaughn, vice president of operations, HSES and supply chain for The Lubrizol Corporation notes that process automation and operational excellence assures safety, product integrity, reliability and yield at the plant, as well as Lubrizol's contribution to the community.